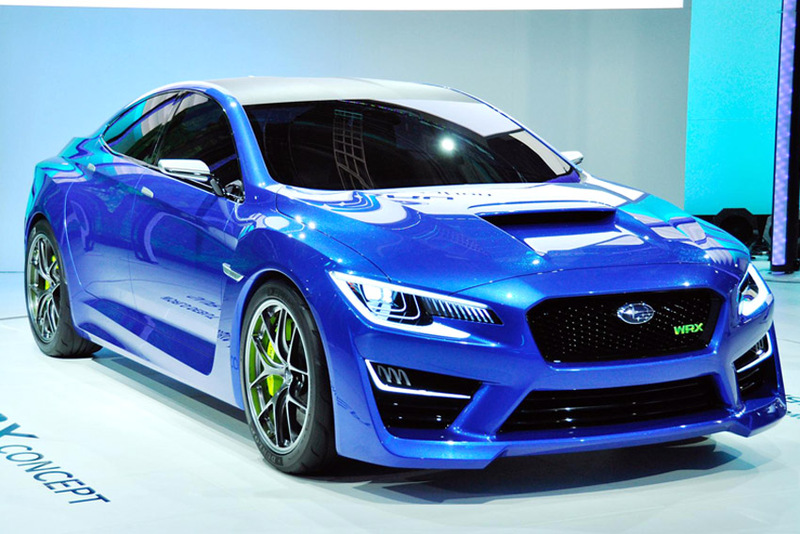 The Subaru WRX concept vehicle - first shown earlier this year at the New York International Auto Show - will make its European debut at the 65th Frankfurt Motor Show on September 10, 2013.
muscular design giving it a strong on-street presence. Lower, wider and sleeker than previous models, the WRX Concept places an even greater focus on sharp handling, with a low centre of gravity and Subaru's famous all-wheel drive system. The WRX concept will be joined on the stand at Frankfurt by the Subaru VIZIV concept, representing Subaru's future design direction and vision for technological innovation.